iBT - ITP - PBT . * مجموع درجات هذا الاختبار اجمالى 677 درجة وأغلب الدرجات المطلوبة حاليا لدى الجامعات والمؤسسات الأجنبية 550/677 درجة . 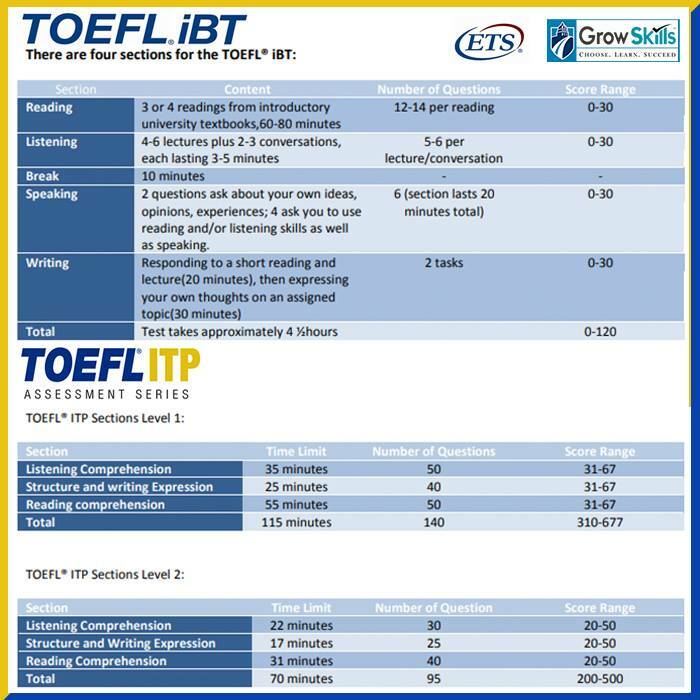 It is very important to understand the difference between the official TOEFL® iBT, which is used by institutions to make high-stakes decisions, such as whether or not to admit a student, and the TOEFL® ITP tests, which consist of content from previously administered TOEFL® paper-based tests and are most often used only for initial screening of applicants and with students who have already been admitted.